Proin laoreet a lorem sed euismod. Aliquam vitae vulputate magna, ac pellentesque urna. Ut eleifend ultricies dolor eget pretium. Integer id turpis tortor. Aenean condimentum elit vitae dolor fringilla, in egestas neque dapibus. Suspendisse euismod enim et elementum rutrum. Pellentesque vulputate, justo in condimentum blandit, lorem tellus vestibulum felis, in faucibus sapien lacus in enim. The “Cry it out” method. Is it efficient? Is it harmful? 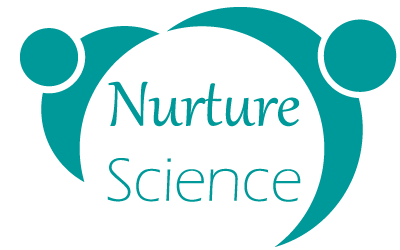 Nurture-science.com is a collaborative online platform dedicated to science communication regarding parenting, health and education issues. We aim at supporting critical thinking to avoid dogma and to highlight current consensus and controversies present in the scientific community. – Contrary to other publicly available websites, the articles will be research-based and fully referenced, avoiding anecdotes, ideologically biased opinions, and sensationalism. – Even when citizens have access to direct interviews with researchers, it is hard for non-specialists to know if the view presented is consensual or controversial. The collaborative aspect of this platform through its open-peer commentary format will control for any biased view. – It is usually very hard to know if any conflict of interest influence the information presented. By making a strong effort to control explicitly for conflict of interest and to be transparent, this platform provides the best guarantees of independence and impartiality. – Contrary to guidelines and policies from official institutions, this platform avoid both any argument from authority and a patronizing stance. We explicitly highlight that we do not offer advice, best practice nor guidelines; instead, we offer information to help people make informed choices. All videos and articles are under the creative commons license, allowing other journalists, videographers, and bloggers to help us reach larger communities. In other words, you are allowed to translate our materials, forward and share some of the content via your own media and adapt the content to your own communities. – Six editors who are established researchers in diverse universities (Harvard (USA), Miami (USA), Oxford Brookes (UK), Coventry (UK), Staffordshire (UK), Portsmouth(UK)) with a broad range of expertise in the domain of child development (family, education, language and communication, diet, and cognition). The diverse editors have to (1) select the main question asked in their area, (2) invite an independent expert to write a review-article on the topic, and (3) welcome open-peer commentaries if any. If the topic appears to be controversial among the scientific community, the authors will be invited to reply. This open-peer commentary format is already used successfully by some prestigious scientific journals such as “Behavioural and Brain Sciences” and “Current Anthropology”. Finally, all editors will take part in the decision-making process in a collegial way. – Two reviewers who have a scientific background and are used to science communication. They will use their expertise to review the articles received and make sure they are suitable for a lay audience.